Another year of Pride & Industry! 47 years of Independence! A great big Happy Independence goes out to Barbados and all my Bajan readers! I know I posted some Thanksgiving deals during the week, but trust that I did not forget our lovely island's celebrations! I sadly wanted to create a very Independence-themed makeup look but the time has gotten away, as I've explained in Wednesday's post. I'll see if I can put up an OOTD or FOTD when I go out tomorrow. Anyway, I hope you enjoy this photo that I took while roaming Bridgetown one Saturday evening. Nothing says Barbados quite like Bridgetown, it may change stores here and there but it's mostly the same. Despite the hiccups we've been experiencing with our government and economy, I am proud to be BARBADIAN! Have a safe and happy Independence day! Here's to another 47 years of Pride and Industry! Online Deals for Black Friday & Cyber Monday! Anyway Black Friday is coming up, and this year I'm a bit earlier on the deals than last year. So I wanted to share a few with you, including coupons and links. Obviously I'm from Barbados but even though we're celebrating Independence this weekend, we can still treat ourselves to a few good sales! I only picked out the online deals, because just about anyone with a credit card can access them. Disclaimer: Affiliate links are embedded in this post. Ring the Alarms.. it's a Boyfriend Invasion of this blog! Oh what a sensation and a trill it is to be the one writing this post for you awesome readers. It’s me, Tyrell that loveable peach of a Boyfriend that appears from time to time to shake things up a bit and cleverly forcing those smiles on your faces to jump out. Speaking of smiles, I was walking through a store doing some shopping for some guy stuff and as I was passing through the makeup and female beauty section. I caught myself checking out the beauty products, how weird is that? What’s even weirder was that I had a huge smile on my face because I knew the difference between foundation, concealer and finishing powder. It was crazy! As if the store phenomenon was not weird enough, I find that when random females walk by I can tell what make up suits their complexion, what powders they should use, if they need foundation or finishing powder and when they need to stop looking like a box of Crayola “jizzed” on their face. 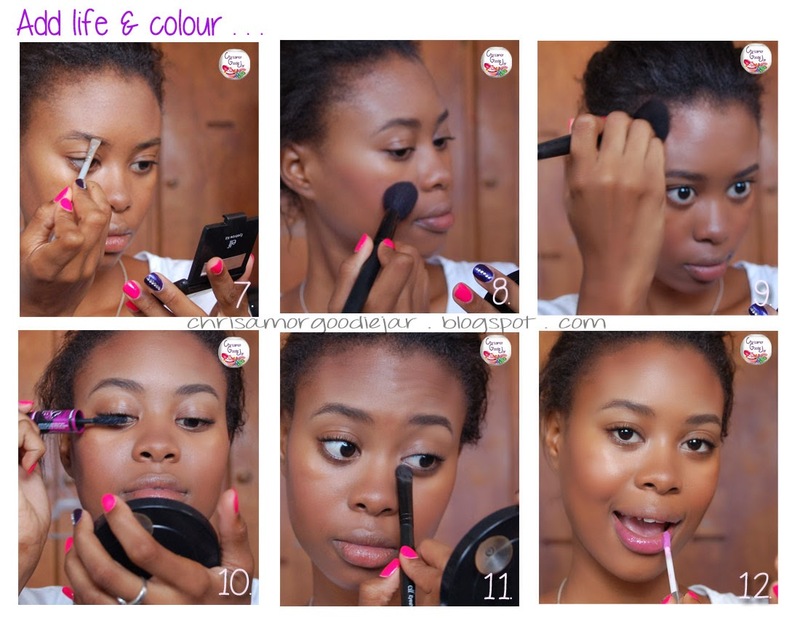 Ladies it’s because I do not want to be alone in this world of guys who understand and check out make up that I have invaded this blog to bring to you three (3) easy yet effective ways to get your guys more interested in your make-up and beauty products. Now why do you want this? Santa is coming to town in a couple days and I’m sure some of you ladies have been naughtier as opposed to being nice wink wink…. Enough said. Santa isn’t gifting you it’s us, the boyfriend the husbands and the nice guy in your friend zone. Therefore having a guy who understands what you like and what may help you look even more beautiful than you already are would definitely bring a joyful smile to your holiday. 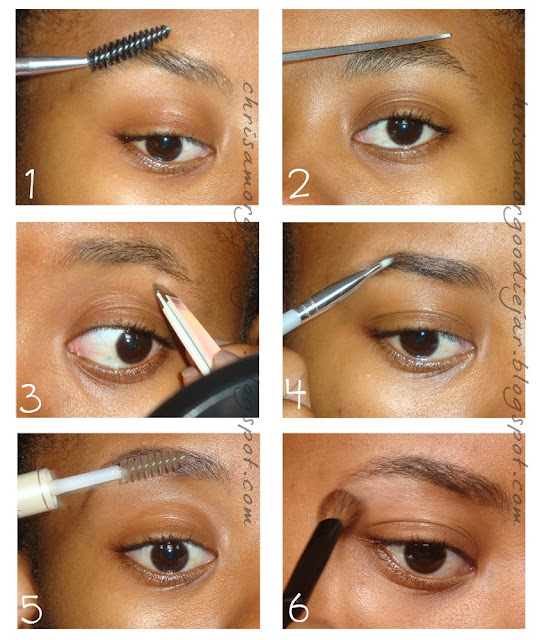 The truth is this method is what got me interested in makeup and made me start paying attention to it. I did some acting some time ago and I had my very own professional makeup artist ha-ha you know who. She made me look amazing and during the process she told me everything she was using. So it’s no secret what this step is about. Get your guy in a chair, get your brushes and your powders and make him up. Most guys are actually just as vain as females and they like to know they look hot. As you are creating a look on your guy talk him through the process let him see what you’re using and what you’re doing. With the end result make him wow. It is important that you take pictures to save and preserve the moment to remind him of how awesome it made him look. The Live show is a true eye opener for most males so it is a safe bet considering you can pull it off. This is where you find the time to sit down with your guy and give him a live show of you making yourself pretty. I suggest you apply make up to one half of your face and leave the other natural at the end your guy will notice the difference. Men are logical creatures we thrive on things that make sense but sometimes it’s hard to see the value of something if it isn’t in our face. Therefore using the live show and with a little bit of explanation show your guy what you can do. If you are bold enough and you trust him enough ladies this will work for you. Give him the chance to do your make up. Hey all! For some reason I've misplaced all the product photos I've had for the e.l.f. Studio Brow kit in Medium, which I had for some time to review but, I'm still going to review it anyway. You've probably seen me mention this product in a couple of beauty favourites and also in my eyebrow tutorial and my everyday makeup routine recently. I first heard Shaanxo on YouTube (from NZ) rave about this brow kit and when I decided to order from e.l.f earlier this year, that was one of the first things I put in my cart. It definitely lives up to the hype she gave it. It lasts all day, the colour (Medium) works well with my hair colour, especially since I wear dark-rimmed glasses, so it balances out the rest of my face. 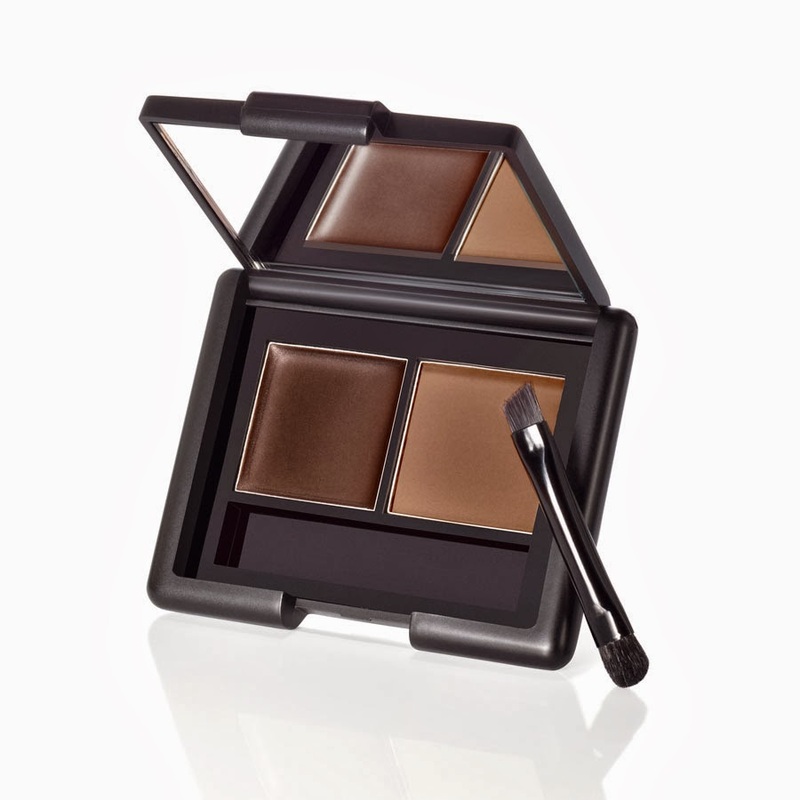 I love to alternate between the powder and the brow mousse. The brush which comes with this is so useless though, I wish I had bought one of their brow brushes to try along with this. The one which comes with it is a dual ended mini with a thick side for the powder and a very flimsy angled end for the cream. But for the price, I really shouldn't complain too much. this was $3USD and e.l.f. always has a promotion going on. I use the cream some days and the powder on others, and I may even use both for longer staying power, but it doesn't move around too much on your brows. The brow cream is waxy enough to keep my brows in place under normal circumstances. I suggest putting your shirt on first, then applying this haha. There's also tiny mirror in this kit which is just big enough for you to see you brows and eyes. Good for on the go grooming. Brow done with e.l.f. Brow kit and then e.l.f. brow gel brushed through to make them look more natural. Overall I'm very pleased with this little kit. It was affordable, convenient and the packaging i simple yet effective. My only annoyance was the brush provided, as it was such a dud. That should never be used with this product. Disclaimer: I purchased this product with my money. Opinions are my own. Hey all! Two years ago I posted on the official emblems of Barbados and today I'm going to recap them with you since it's the month of National Independence. My tiny little island has to stand out from others some how right? For some reason when people hear Caribbean, they think very small-mindedly. Little to no sophistication, coconut trees everywhere, grass huts and endless beaches. But the Caribbean is way more than that, although it may not be top notch as it is in a 1st world country we still have infrastructure, governance and people (mostly educated). In representing Barbados on a global stage, we just like other developing countries, have our own flag, national dish, pledge, anthem, flower etc. Above is our Coat of Arms which your would find on all official Government documents. 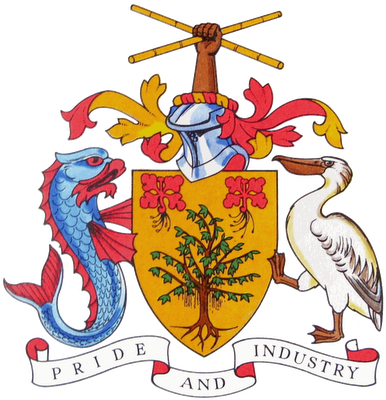 The motto is Pride and Industry, something which us Bajans are forgetting a bit more everyday sad to say. On the Coat of Arms is the Dolphin (Mahi Mahi) representative of our fishing industry and the national bird the Pelican which once inhabited a small island off our coast called Pelican Island. This island has been incorporated into our sea port, the Deep Water Harbour and now you had find local craft vendors in the surrounding areas. Also on the COA, you will find our national flower, the Pride of Barbados, the Bearded Fig tree from hence Barbados is named and a hand holding sugar cane in a satire cross, representative of our sugar industry, once our main source of income. Happy Birthday Ashley!!! Just wanted to say that first :). Besides being one of my bestest friend's birthday, today I have a review on the L'Oréal True Match Super Blendable concealer crayon that I recently purchased from Collins for about $18.10BDS. First off, the colour selection is kind of iffy. 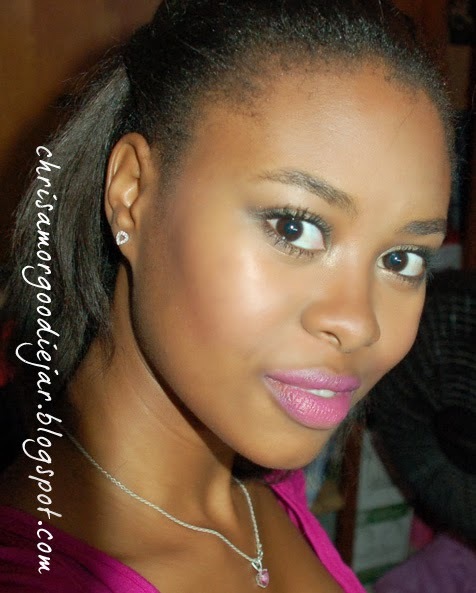 I thought I would have needed a darker shade because the C6 foundation looks a lot darker, but some how the Warm 6-7-8 shade concealer works quite well with my skin tone. I don't know how it would fare for darker women though. This is a very blendable (as the name states), creamy concealer in an automatic jumbo pencil packaging. So it's very hassle-free. No sharpening is necessary and the point stays for a while depending on how you use it. You just twist the bottom for more product to come out. It's very easy to apply and looks good even if you're not wearing foundation on the rest of your skin.I found it stuck a bit to my dry patches (from dried up pimples), but nothing too noticeable that I didn't want to wear it. November = Barbados National Independence! Hey all! It's the month of November finally which means National independence for Barbados! This year we are celebrating 47 years of Pride and Industry! Last year, I did a video on the lights and banners in the city. this year I won't be making a video, but hopefully I'll have tons of photos to show you the sights and sounds of Barbadian life around independence! Also In other news, I've finally reached 100 GFC blog followers! Don't worry I haven't forgetting about the giveaway I had promised either. I'm working on it :). 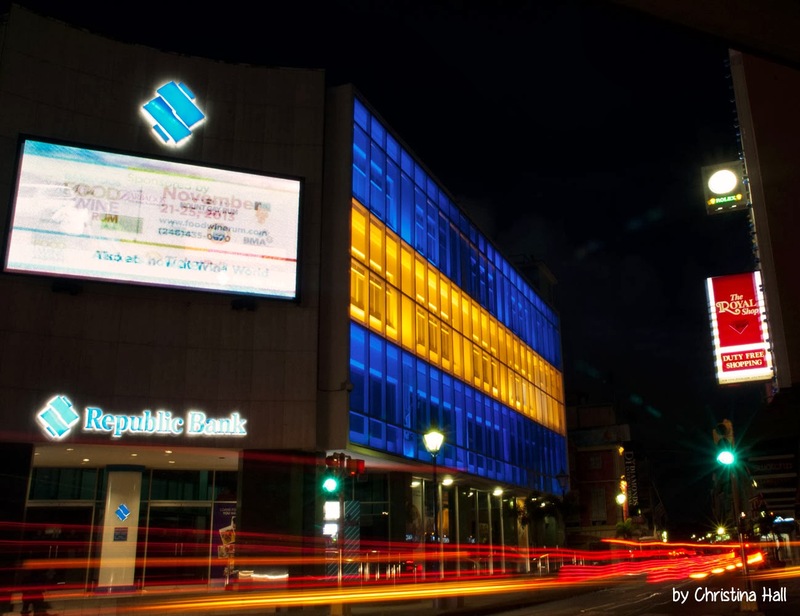 If you're a Bajan, what's your favourite part about National Independence? I used to really love NIFCA, but now it's so rushed and quieted that it's over before you recognise it's begun lol. Anyway I'm not the kind of person to put on loads of makeup or bright colours on my face for day-to-day wear, but I do enjoy doing my makeup for school to look put together and sometimes with a pop of colour on my lips. 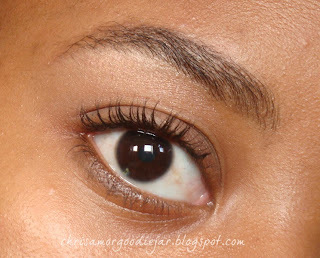 Still on the look out for a great coloured mascara so I can sport that more often too. I like to keep it simple also because I don't like to waste time going into the school bathrooms to fix or reapply anything. Just too much hassle, and I usually don't have more makeup than a lip product in my bag at any given point. I'm just that lazy haha! Anyway, here's what I typically do in the morning, before I rush off to classes. Moisturise my lips using my Maybelline Baby Lips. Add moisture to the rest of my face with coconut oil. Just a drop will do. 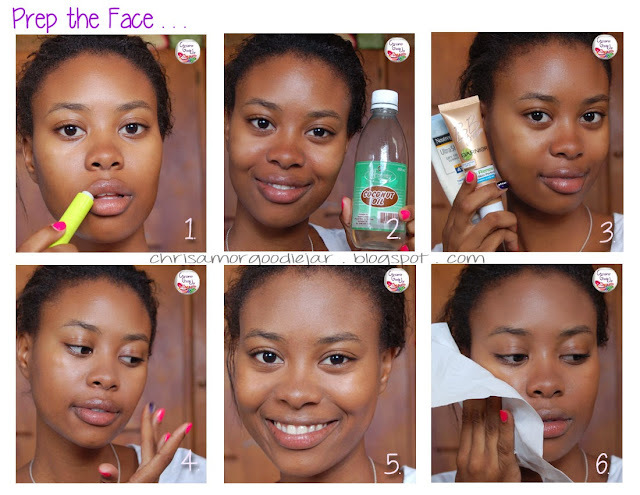 Cover my spots and unevenness with Garnier BB Cream. If I don't feel like using BB cream I'll just stick to my Neutrogena Ultra Sheer sunscreen (SPF45). Make sure to blend the BB cream well into my skin so it doesn't look splotchy. Here's how the finish of the BB cream looks. Sometimes the BB creams a bit too dewy, or I might have put on too much product, so I blot with a tissue. It's an easy way of not looking cakey. Fix my eyebrows, and occasionally I put a bit of concealer underneath the brow to clean it up. Apply blush on my cheek bones. Apply bronzer to slightly contour and add life back to my forehead. I put a bit in the hollows of my cheek bones too. Apply generous coats of mascara. Sometimes I highlight my inner corners with Crisp from my Smashbox eyeshadow trio. Finally apply some lip gloss, or lipstick if I'm feeling up to it that day. This can take me about 10- 15 minutes. Even less if I really rush it along but, I really don't make too much of a fuss about it. Some days just sunscreen and mascara is all I'm wearing! How do you typicall get ready on mornings for school or work? Hey all! Another throwback post, this time back to 2011 when Rihanna performed live in Barbados. This was also supposed to be the case this Saturday (2nd November), unfortunately it was cancelled. (Quite last minute too). I'm not too thrilled about it, but I don't think I would have been lucky enough to have gone this time around either. Anyway, I rather reminisce on the LOUD concert that I did attend. 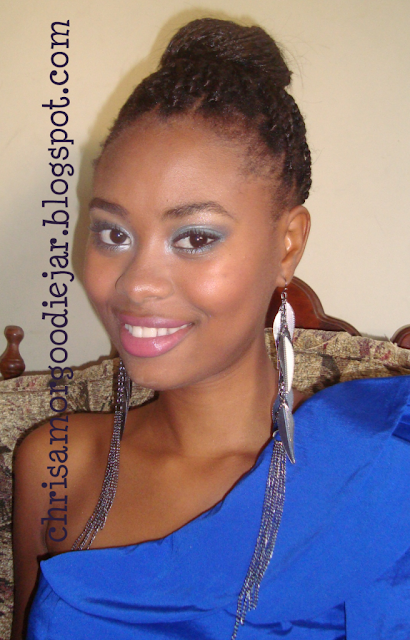 That time, my hair was still natural and I wore some braids (which my mother and I had plait on) so my hair went into a sleek bun, to go with my blue one shoulder dress. I did my makeup to match my dress haha, so I had a blue and silver look going on. Silly me didn't take enough photos of the makeup that time around. 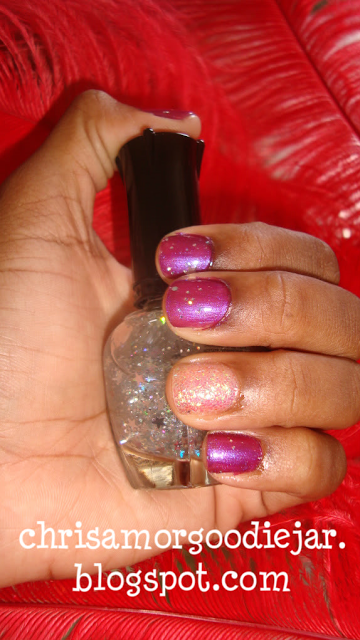 But I did get some of my nails :). As for the show, it was amazing! I sang along to every song that I knew, partied with my friends and my sister and just had a great time. I never wanted the night to end. I'm so happy that I carried an extra pair of shoes too, because standing for long is not easy in high heels, so I had taken silver sandals with me. Thank God! It was one of the best nights I had that summer. For the full article (and video), you can click here, and here for details on the nails! October flew by so fast! But I still found a couple new products to love along with some oldies. Some of these products I have reviews on already, and I'll have some more coming up soon on the newer items. Let's start with the new stuff! You know how much I loved my Maybelline Dream Fresh BB cream, but it was a bit too dewy during summer, so I had stopped using it. 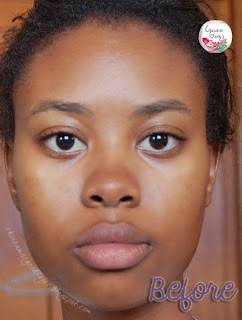 I had always wanted to try the Garnier BB cream and when I saw that the Combination-Oily Skin formula was available in Collins, I had to jump on it. I lusted this for a while because I heard it gave a more matte finish than the original. I love this! 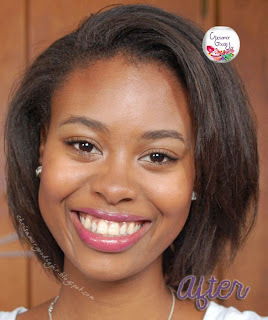 Good coverage, matte, yet it looks natural and it lasts all day on me! Hey all! I am currently doing a photography course at uni that I've always wanted to do and I'm very excited about it, because, not only do I get to learn about photography, but it's practical, we take photos with a DSLR! This is my type of dream camera, the type of camera I'd like to get most. In class, we're using an older model Nikon but it's still pretty good. However, I would love to get my hands on a Canon T3i or the T5i (which is just too expensive for my poor budget)!